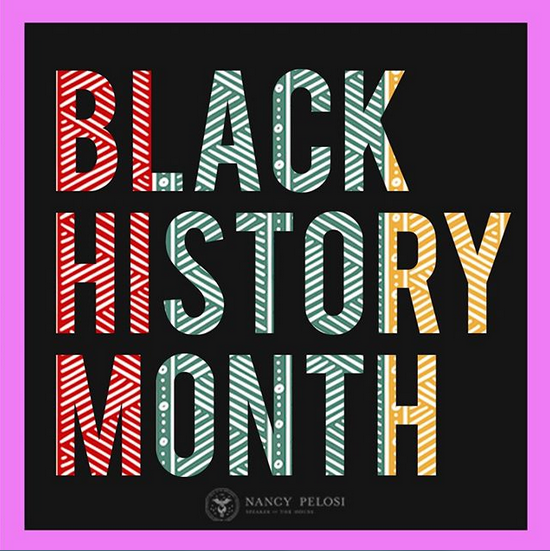 Speaker Nancy Pelosi issued this statement on Black History Month, which began on February 1st. “Each Black History Month, Americans celebrate the proud heritage and innumerable contributions that African Americans have made to our nation. We honor the generations of African Americans who have enriched our society, pay tribute to the tireless activists who have fought to fulfill the promise of America, and recognize the new generation of leaders who have transformed the Congress and our country with their vision and values. “Yet today, barriers to social and economic justice and access to equal opportunity continue to undermine the success and prosperity of communities of color. In the face of these persistent obstacles, the new Democratic Majority is working to build a future of progress and possibility for all Americans. We are acting to advance fair elections and combat the shameful, brazen efforts to erect barriers to the ballot box for communities of color. We are standing up against the rhetoric of hate and violence that is inflicting pain, heartbreak and division in our communities, and insisting on the truth that Black Lives Matter. And we are pushing forward a bold, ambitious agenda For The People to make good on the promise of the American Dream for everyone by lowering the cost of health care and prescription drugs, raising wages by rebuilding America with green, modern infrastructure, and strengthening our democracy by ensuring that our government works for the public interest, not the special interests. No Democratic Party Weekly Address was available at publication time. 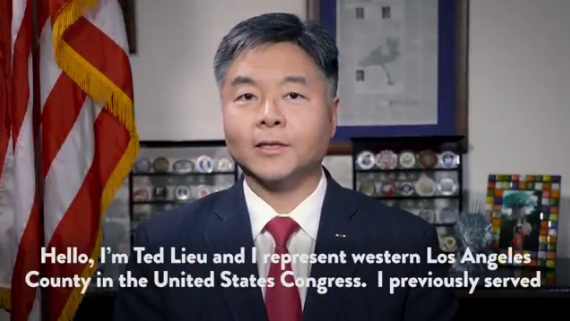 The Weekly Democratic Party Address was delivered by Congressman Ted Lieu of California. He discussed the escalating safety and economic threat caused by the Republican Party’s senseless government shutdown. “It’s pretty simple how we got here. 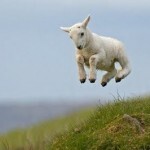 In fact, it’s all captured on videotape. Last month, Trump told the American people, quote, ‘I will take the mantle. I will be the one to shut it down.’ End quote. “No President of the United States should ever be proud of shutting down our government. But Trump carried out his threat to shut down government. And he was enabled by Republicans in the House and the Senate. “Now, how do we stop Trump and the Republicans from continuing to inflict harm on the American people? 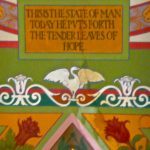 The Democratic position has been straightforward, consistent, and reasonable: Re-open government. Negotiate a deal. “The truth is, the shutdown is not about protecting our border, it’s about Trump’s failed campaign promise. He promised Mexico will pay for his wall. He has been unable to get Mexico to pay for his wall, so he decided to take the mantle and proudly shut down our government. That is wrong, and the American people know it. 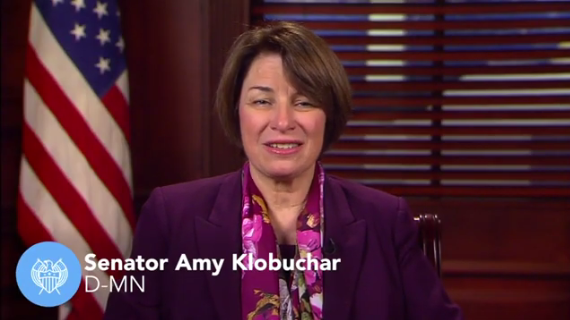 The Weekly Democratic Party Address was delivered by Senator Amy Klobuchar asking (in Minnesota Nice!) for the Republicans to come back to the bargaining table and stop holding the hard-working people of America hostage. “This weekend, we are on the verge of what soon will be a month-long government shutdown, and it’s the longest and most senseless shutdown in American history. That’s nearly a month of hundreds of thousands of workers not getting paid. That’s nearly a month of everything from air safety to medical advancement being undermined. Nearly a month of unnecessary anxiety and unwarranted chaos. “This past week, the President declared he’ll “never back down” from his decision to shut down the government until he gets what he wants. “Now is the time to do what is right Mr. President. End this shutdown and put hard-working Americans back to work. 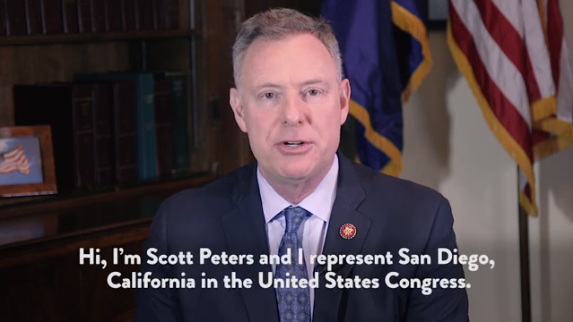 The Weekly Democratic Party Address was delivered by Congressman Scott Peters of San Diego discussing the real crises caused by Trump’s demand for an “impossible wall”. “The one truth the President did state is that there is a crisis at the border. “There is a humanitarian crisis created by him. “It’s a crisis when the President threatens to shut down the nation’s legal immigration and asylum process over a border wall that is really just a campaign gimmick. “It a crisis when the President spends 72 million of your tax dollars to send our military to the border to confront a threat that didn’t exist, like he did in November, as a political stunt to rally the base. “It’s a crisis when this Administration is allowing women and children – babies – to be dumped on American streets in the middle of the night with nothing more than the clothes on their back, without food, money, health screenings, or plans to get them to their destinations. “And there is a crisis, when a government shutdown means that 800,000 federal workers are denied a paycheck this week, and now can’t pay their mortgage or rent, student loans, or medical expenses, hurting their credit rating because our President won’t budge on his impossible wall. 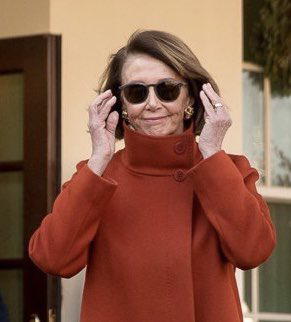 On Thursday, January 3, 2019, Nancy Pelosi was sworn in as the Speaker of the House of Representatives: Article I checks and balances, restored – #ForThePeople. 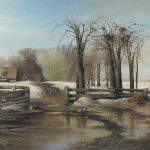 We enter this new Congress with a sense of great hope and confidence for the future, and deep humility and prayerfulness in the face of the challenges ahead. They called upon the beauty of our Constitution: our system of checks and balances that protects our democracy, remembering that the legislative branch is Article I: the first branch of government, co-equal to the presidency and judiciary. They want a Congress that delivers results for the people, opening up opportunity and lifting up their lives. We are hearing the voice of the future there. Beautiful. 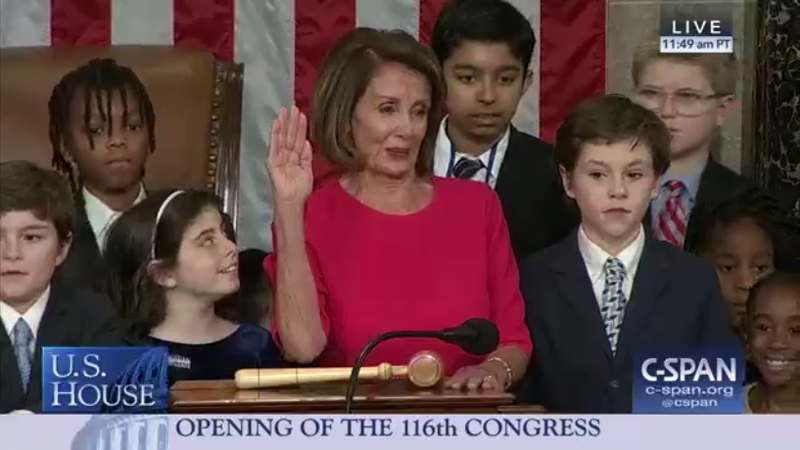 When our new Members take the oath, our Congress will be refreshed, and our democracy will be strengthened by their optimism, idealism and patriotism of this transformative Freshman class. Congratulations to all of you in the Freshman class. In the past two years, the American people have spoken. Tens of thousands of public events were held. Hundreds of thousands of people turned out. Millions of calls were made. Countless families – even sick little children, our Little Lobbyists, our Little Lobbyists – bravely came forward to tell their stories. And they made a big difference. Now, the Floor of this House must be America’s Town Hall: where the people will see our debates, and where their voices will be heard and affect our decisions. Transparency will be the order of the day. And as Mr. [Hakeem] Jeffries, our distinguished Chairman, said, we will follow our mandate, For The People! 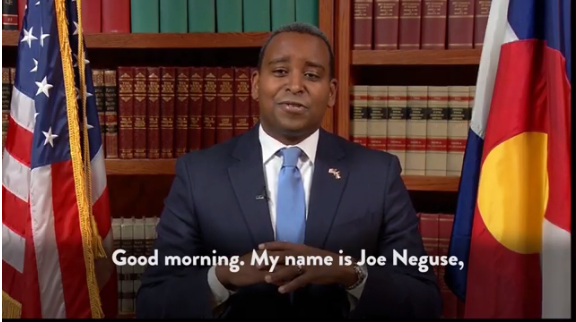 The Weekly Democratic Party Address was delivered by Congressman-elect Joe Neguse (D-CO). He discusses HR 1, a bold reform package to restore the promise of our democracy – a government of, by and for the people. 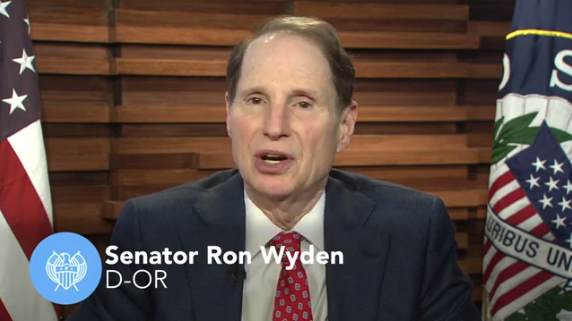 “The Democratic Majority will make restoring our democracy a top priority with the passage of HR 1. This bill will begin to clean up the mess in Washington, D.C. by doing three critical things: securing our elections, reducing the power of special interests in political campaigns, and increasing ethical standards for our elected officials. HR 1 will be the bedrock of everything we do in the next two years, reminding us that when it works, the United States of America has the best form of government ever invented. We can do big things. We can be bold in our ideas and bold in our solutions. We can take bold action to lower health care costs and prescription drug prices, raise paychecks, end gun violence, rebuild our infrastructure and fight climate change. Fighting Back: Giant orange toddler in the White House shuts down the government. 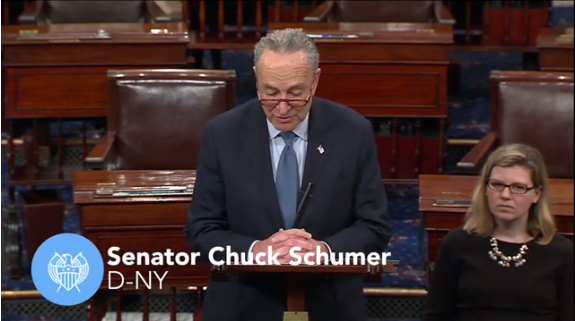 The Weekly Democratic Party Address was delivered by Senator Chuck Schumer of New York, the “leader” of the Senate Democrats. Something something “this shall not stand!”, says man with no power and questionable negotiating skills. 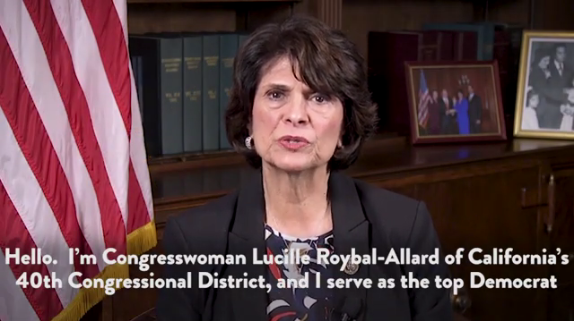 The Weekly Democratic Party Address was delivered by Congresswoman Lucille Roybal-Allard (D-CA40) and emphasized Democrats’ commitment preventing a #TrumpShutdown. “Appropriators understand we have a critical responsibility that transcends politics: to keep our government funded, so it can serve the needs of the American people. Democrats have presented the President* with options to keep the government open. It’s President Trump’s choice to keep government open, or to shut the government down – and the American People are waiting for his response. “And if Republicans do steer our nation into a Trump Shutdown, we will swiftly pass the remaining appropriations bills with a CR for Homeland Security to re-open the government. “On Election Day, the American people spoke, and demanded a government that would work for them. 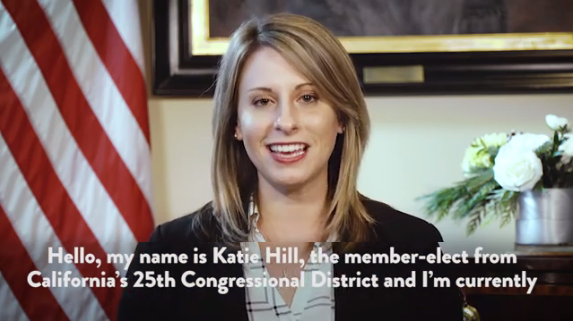 The Weekly Democratic Party Address was delivered by Congresswoman-elect Katie Hill from California. “As the majority and as Democrats, we know that before anything else can happen, we have to repair the trust between people and our government. 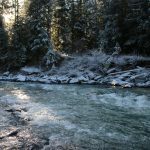 “With that as the priority, under the Democratic Majority, H.R. 1 of the 116th Congress will be a bill that focuses on giving power back to people, not corporations or special interests. 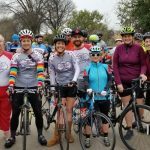 “For most of the incoming representatives-elect, we ran for office so we could come to Washington to make the communities we represent the priority, and stop playing politics with their lives. “That means removing voting obstacles, so that every vote and every voice is heard. That means passing true ethics and accountability reform, so that public servants honor the public trust and Washington stops being run by insider influence and starts working for the people again. That also means finally ending the dominance of big money in our politics and limiting the stronghold of corporations and special interests. “H.R.1 addresses some of our toughest battles. It will establish automatic voter registration, strengthen the Voting Rights Act and put an end to partisan gerrymandering. H.R.1 also works to limit undue influence of big money by mandating more transparency and disclosure of political donations, fighting back against Citizen’s United, and creating a new 21st-century campaign finance system that empowers ordinary Americans.